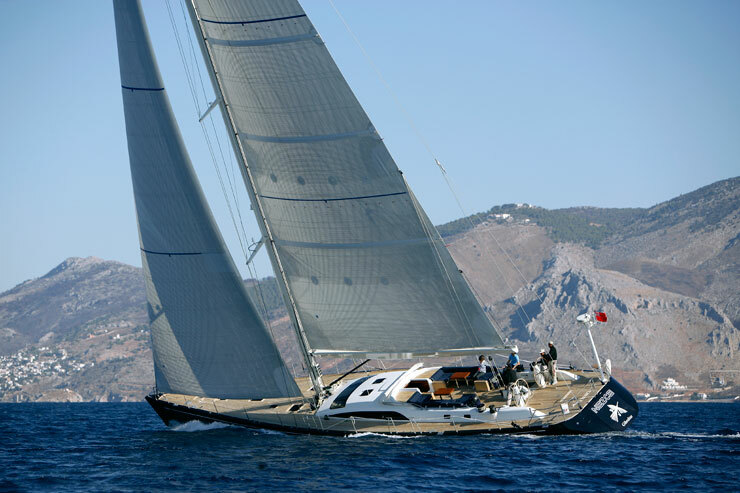 Sailing yacht CRACKERJACK is a 2008 Nautor Swan 82 sloop of 24.89m (81' 7") in length which is available for yacht charters in the Eastern Mediterranean. 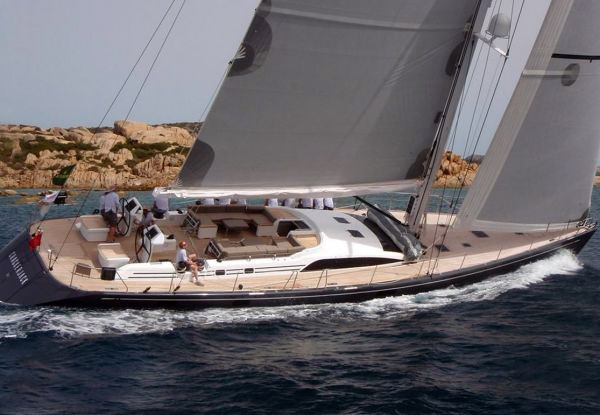 This Swan is a well built and presented modern and powerful cruiser racer sailing yacht – ideal for a Mediterranean yacht charter holiday with family or friends. CRACKERJACK is able to accommodate up to 8 charter guests in 2 double and 2 twin guest cabins as well as crew members. 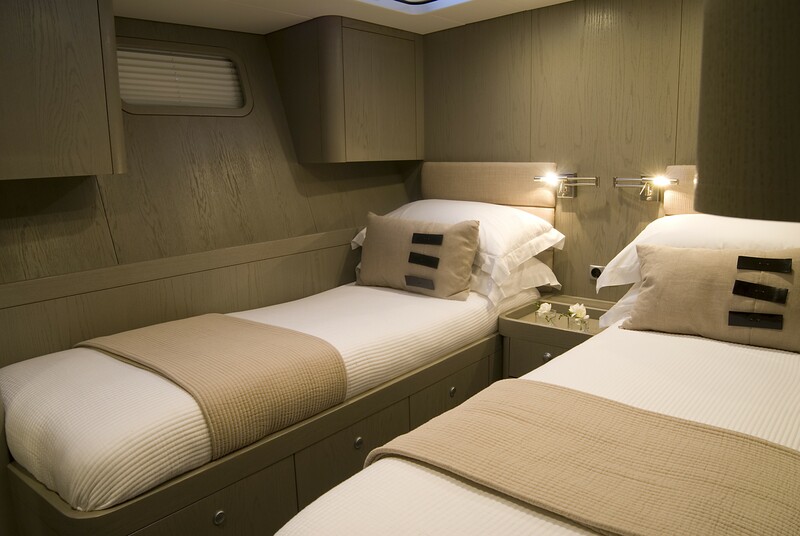 There is ample room for guests to be comfortable but her layout also allows you the opportunity to get away from it all with a minimum of fuss and crew as required. 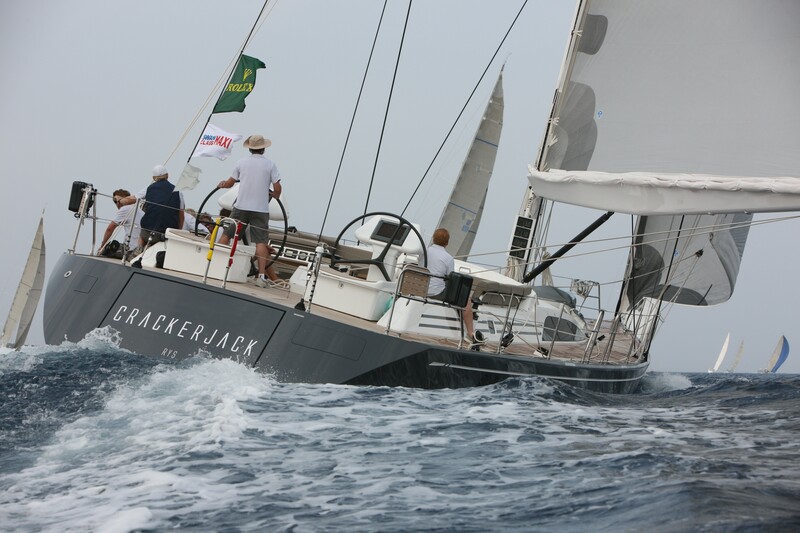 “Crackerjack” is essentially a cruising Swan 82 yacht but with racing still very close to her heart. 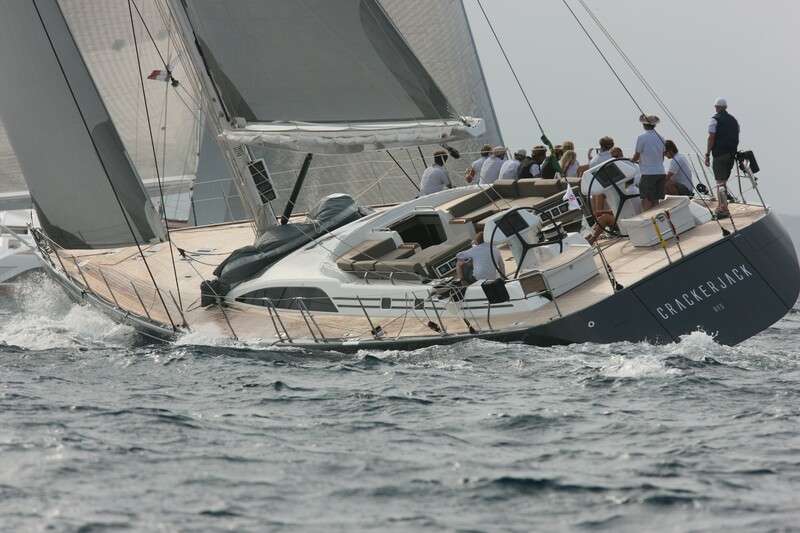 The owner of this beautiful swan has also made sure he can show a respectable result during the occasional regatta. 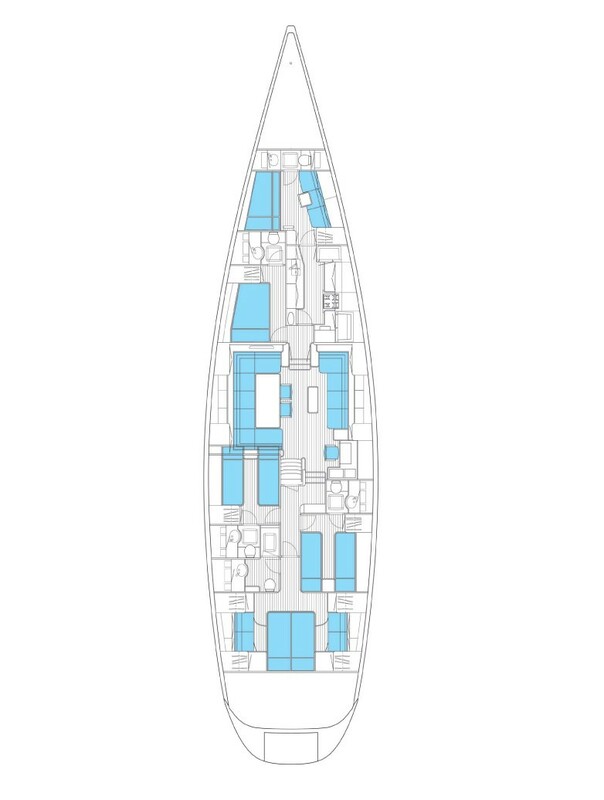 The yacht’s deck layout means a relatively small number of crew can race her. 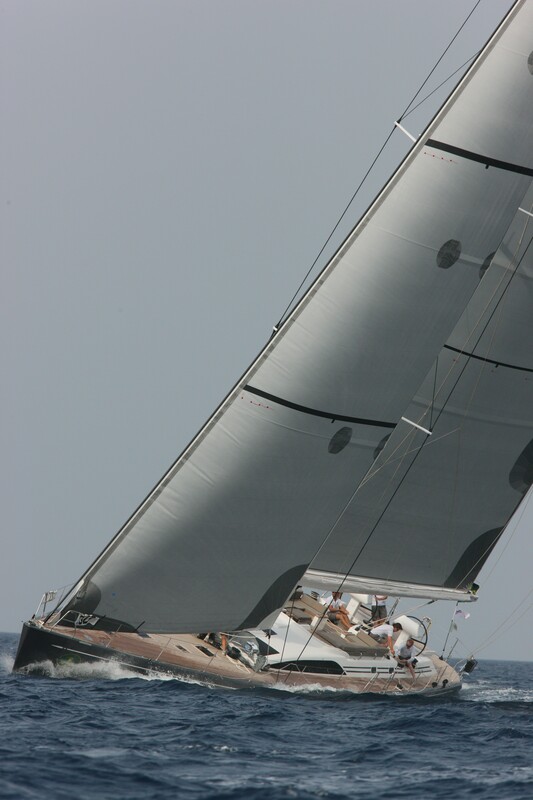 This of course means she is a very simple Swan to cruise and features clean lines. Wide screen HD Ready LCD TV 32", Loewe Concept with digital DVB-T/C (European) tuner, in saloon. 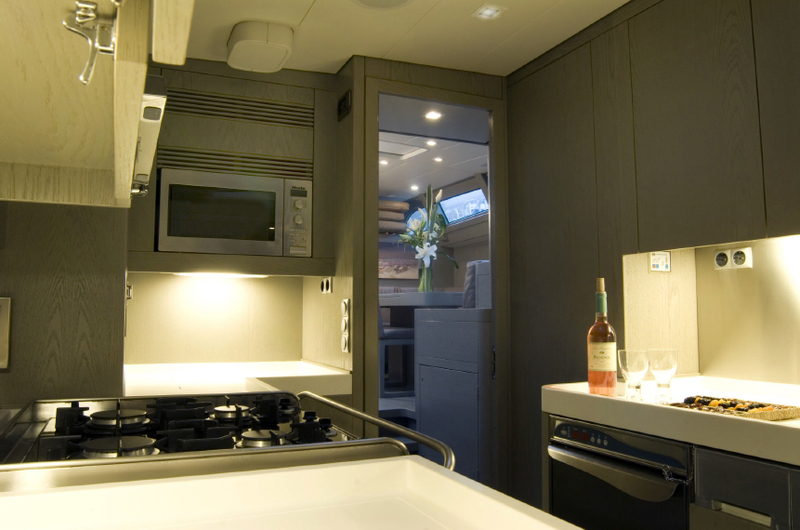 Pop-up liftsystem and remote control for TV in saloon. Home Entertainment system, Bose Lifestyle 48 (DVD/CD/AM/FM) with five cube speakers and woofer in saloon. 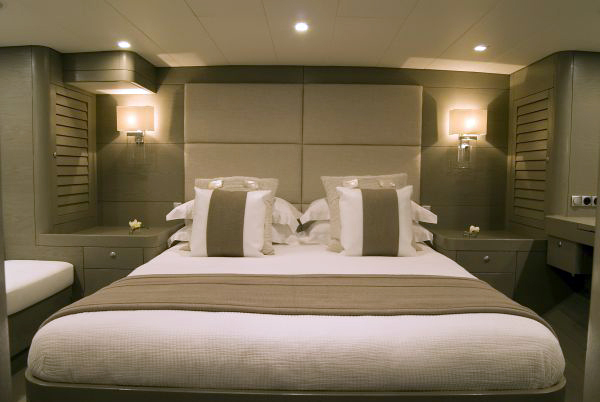 Video and audio from saloon Bose DVD player and from saloon iPod docking station distributed to all cabins. Including Bose Lifestyle VS-2 video enhancer, Kramer Video and stereo distribution amplifier and Triax modulator. Wide screen HD Ready LCD TV 26", Loewe with digital DVB-T/C (European) tuner. Radio/CD/DVD player, Teac, with one pair of B&W speakers in ceiling. iPod docking station. 4 x Wide screen LCD TV monitor 19" Samsung SynchMaster with analogue PAL/SECAM (European) tuner, one in each cabin. 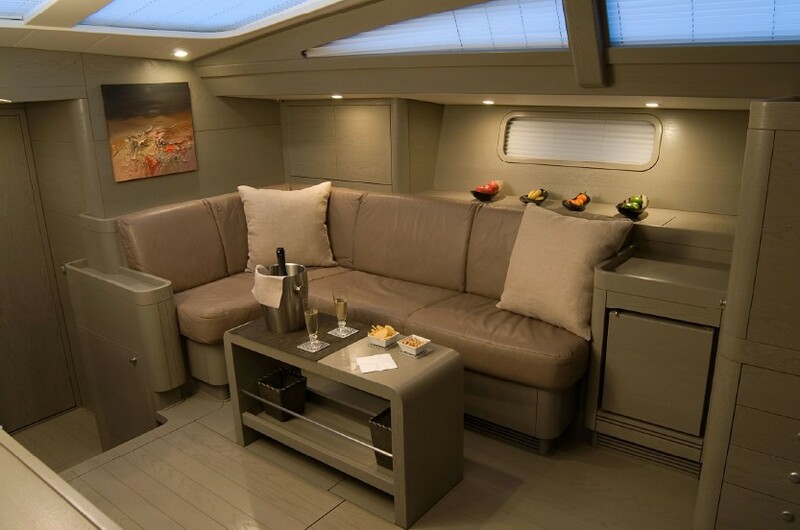 Radio/CD/DVD player, Teac, with one pair of B&W speakers in ceiling, one in each cabin. 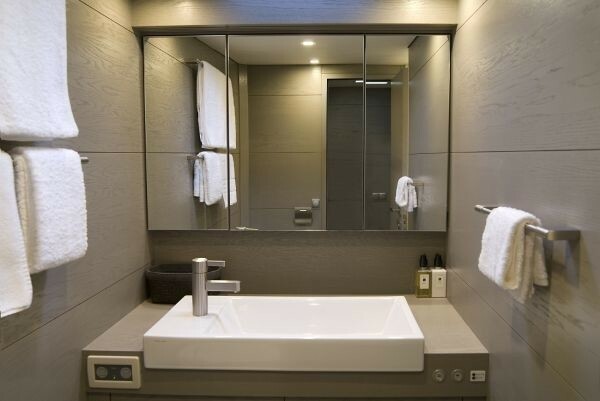 IPod docking station, one in each cabin. 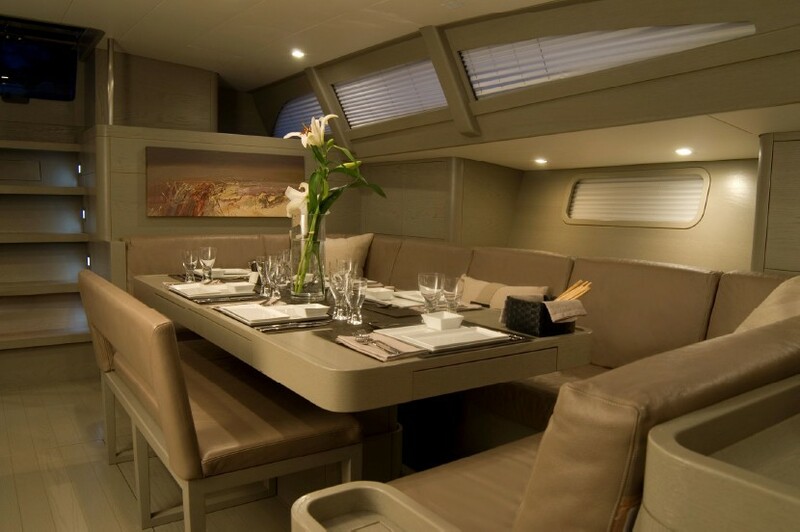 Radio/CD player, Teac, with one pair of B&W speakers in ceiling, in galley. iPod docking station. 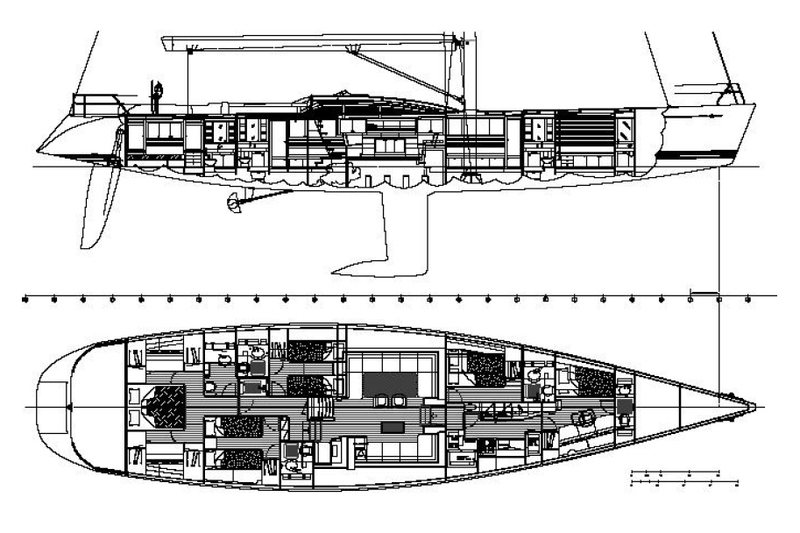 Niles external IR-sensor including:-- Ceiling-mount IR sensor, One for each Teac DVDplayer in cabins (5 pcs) and one for Humax DVB-S receiver in saloon. 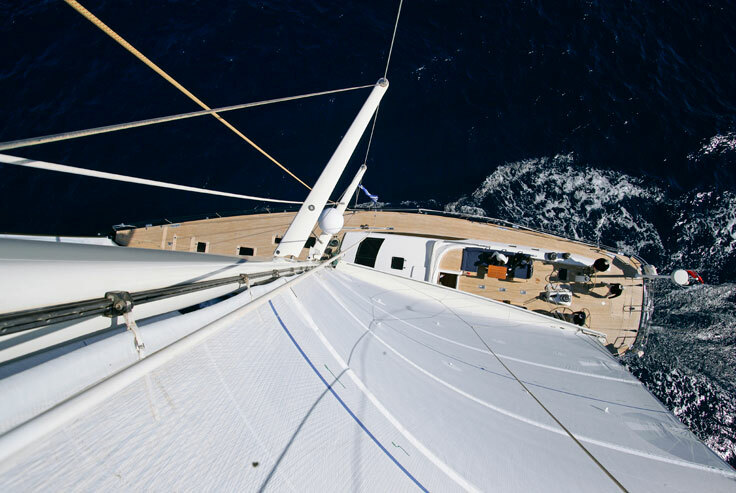 Crackerjack” is an owner’s aft version with a large centerline king size bed and much thought has been given to the owner’s requirements when both at sea and at anchor. 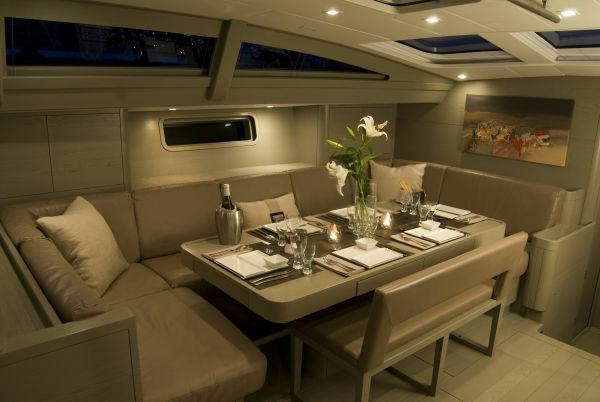 Storage has been optimized and sound insulation has figured heavily on the owners wish list to make sure she is a comfortable home both at sea and when on the dock. 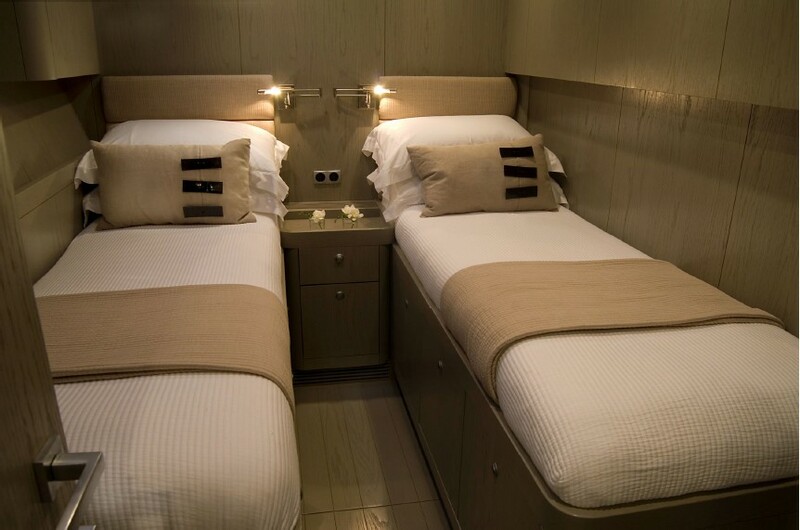 There are two further guest cabins situated midships and again Nautor have taken much care with the layout to make sure the owner and guests get as much privacy as possible. 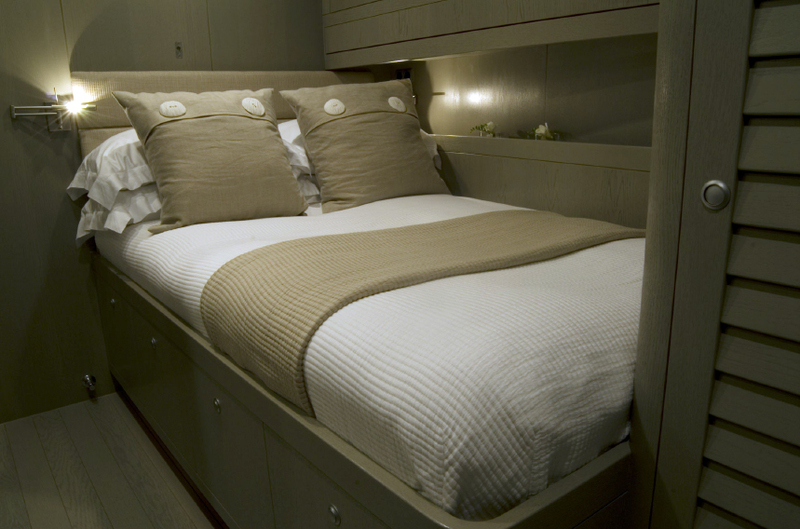 Forward of the saloon to port is a superior double guest cabin with its own ensuite shower and toilet. 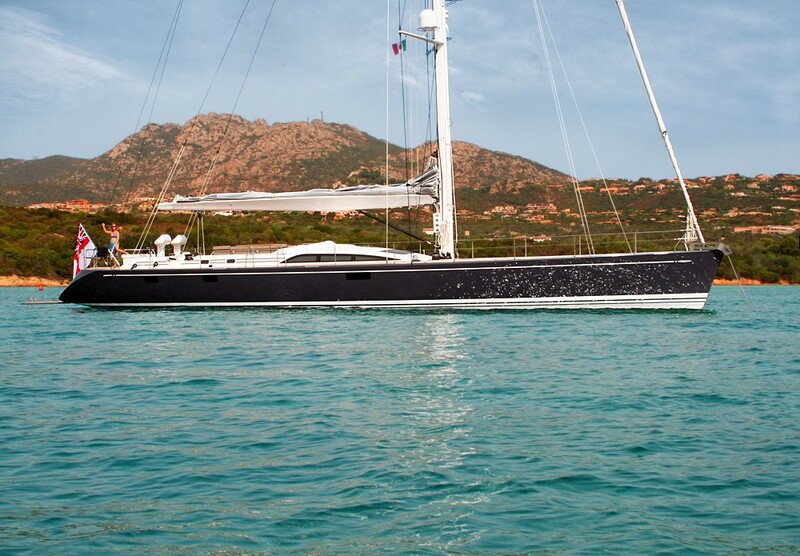 To starboard is a very good sized galley with adequate stowage and extensive refrigeration allowing uninterrupted operation of the yacht for extended periods. 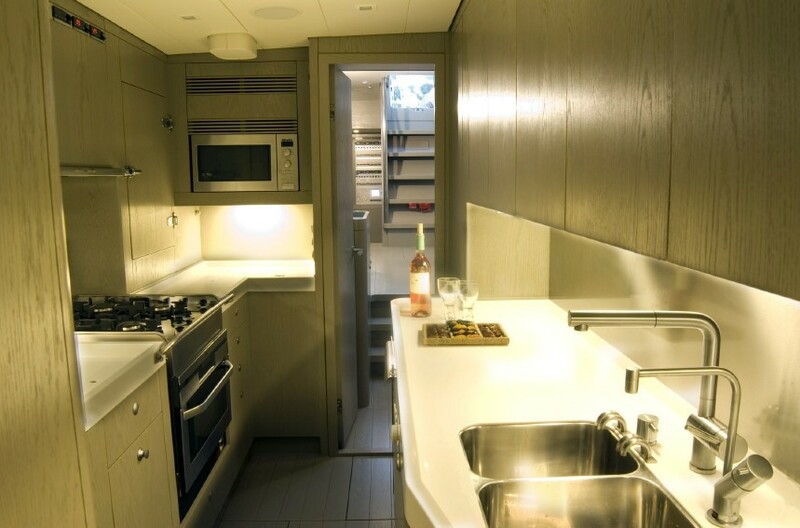 Forward of the galley is crew accommodation for 3 crew. 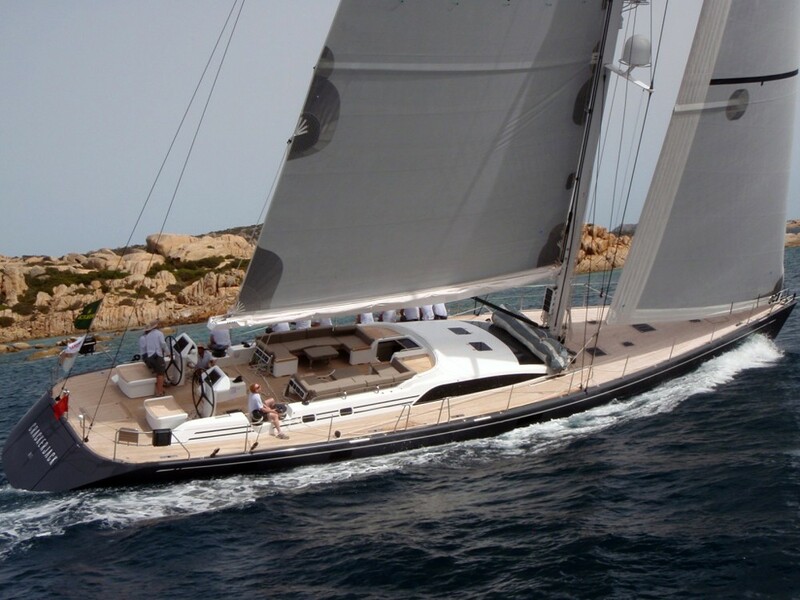 Tenders & Toys Ribling 466 custom yacht tender RIB built in Carbon and three separate hull sections. Engine is a Yamaha 40hp Communications -VHF DSC class D (Europe/USA) Simrad RS-87 with handset at nav. 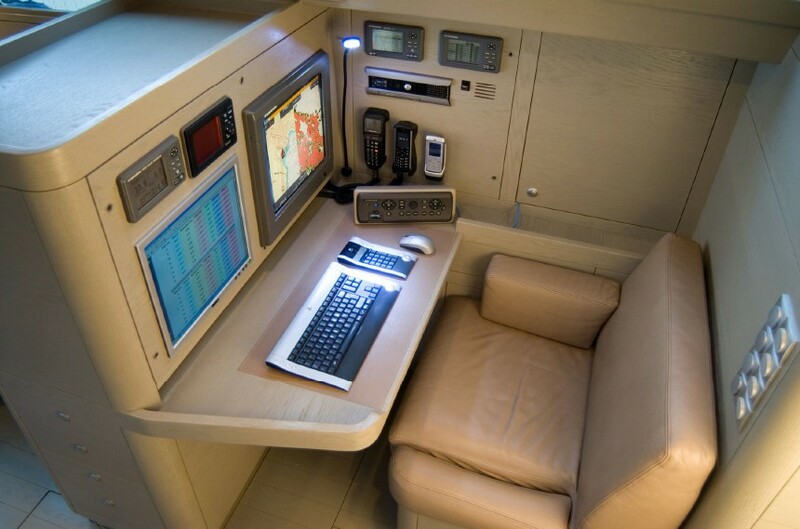 -Second waterproof handset Simrad AHK87 in aft cockpit GRP-box. -Converter and external cockpit speaker Vtronix WS200 included. GSM/GPRS/UMTS telephone 900/1800/1900 MHz (Europe/USA), connected to external antenna and computer. -Bluetooth USB dongle included. 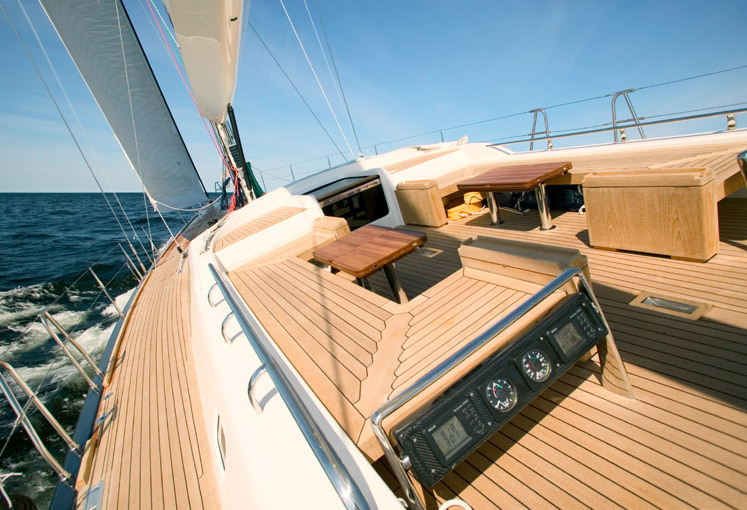 -Yachtspot Internet Wi-Fi system. 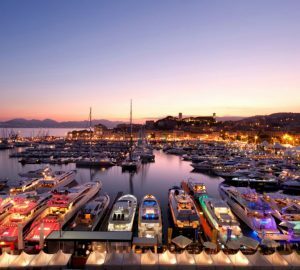 Searches for public "hot-spots" onto the yachts wireless local area network (WLAN). 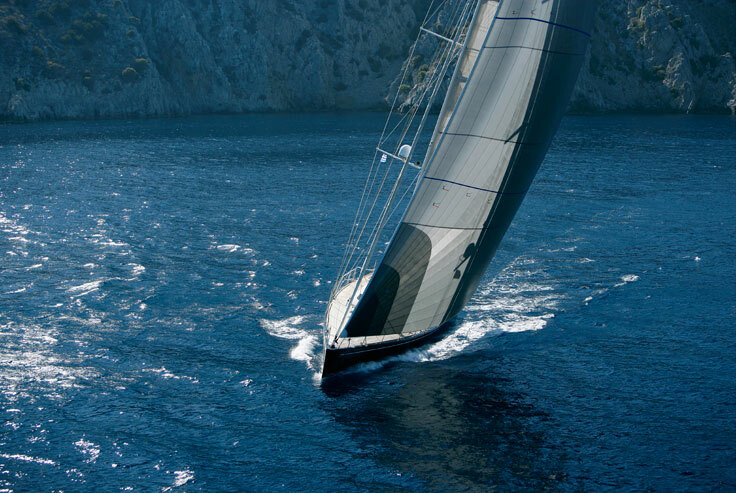 Includes Yachtspot wireless router. -WLAN antenna, AC Marine CEL24 antenna position Sat Com, KVH TracPhone Fleet Broadband FB500 for Voice/Fax connected to onboard computer. 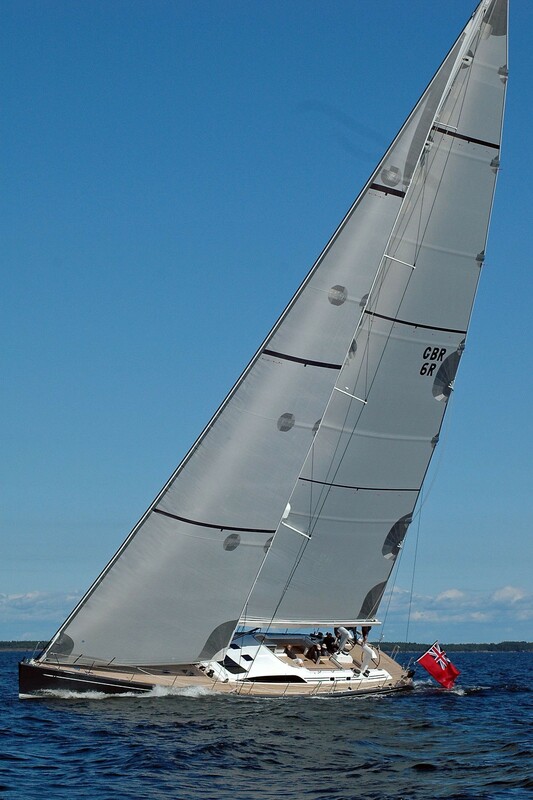 -SSB (Europe), Sailor 4000 MF/HF 150 W, mounted at chart table.